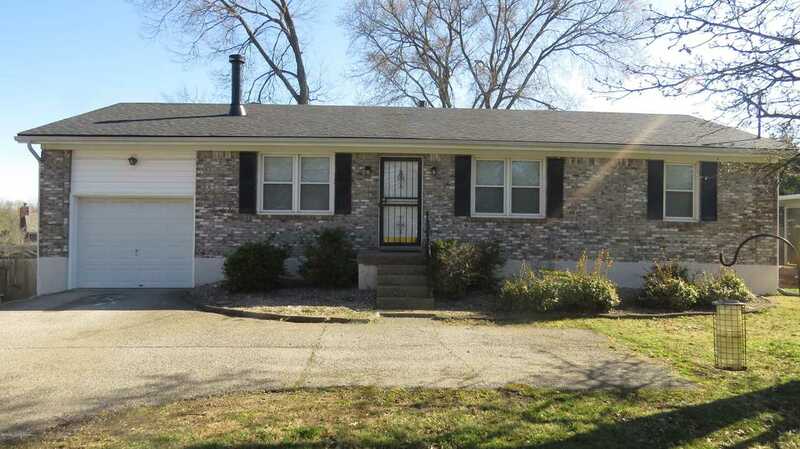 Renovated all brick ranch home with three bedrooms and two full bathrooms. Open floor plan with New flooring through-out, fresh paint, new stainless steel appliances and total renovated bathrooms . Located close to shopping and dining. The large open eat-in kitchen includes plenty of counter and cabinet space with glass door opening to the 2 level deck combo overlooking the large private backyard with full 6 foot wood fence for all your privacy, entertainment and relaxation needs. Fireplace in the living room Spacious unfinished basement to be used for office, play area and storage. Driveway has an extra parking pad in addition to the attached one car garage. NEW ROOF. This house is MOVE-IN ready! Directions:From the Watterson Expressway exit onto Westport Road. Turn right onto Ormsby Lane. Home is on the left. SchoolsClick map icons below to view information for schools near 1607 Ormsby Ln Louisville, KY 40222. MLS # 1527696: This property at 1607 Ormsby Ln, Louisville, KY 40222 is located in the subdivision and is listed for $220,000. MLS # 1527696 has been on the market for 25 days.